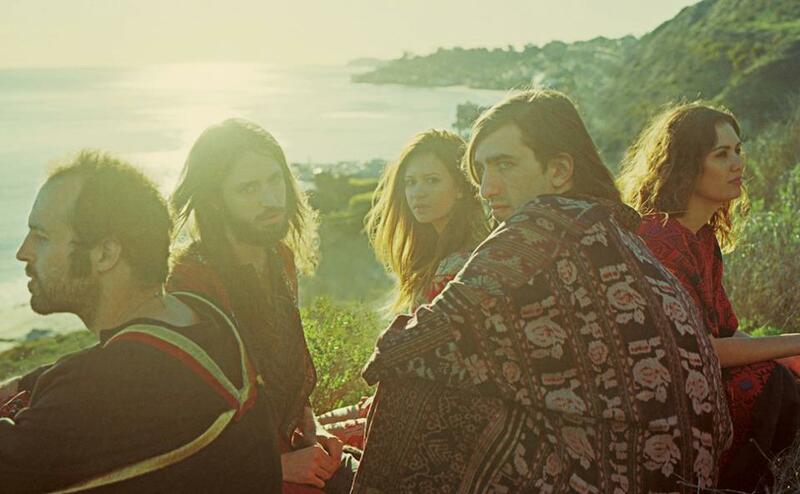 Spanish band Crystal Fighters recently released their sophomore effort Cave Rave. They have been categorized as an alternative dance, folktronica, synth pop band. Suffice to say, the music has not always been an easy listen, but their live shows are always interesting, to say the least. Their first US show playing songs from the new album is happening this Saturday at the Casbah. Many elements have been part of their live performance, such as heavy beats, synths with vocals reminiscent of an indie opera. It has been three years since Crystal Fighters released their first album, Star of Love. This album is somewhat of a difficult listen, with good songs mixed with songs that are somewhat chaotic. When I heard Cave Rave for the first time, I initially did a double take to see if it was indeed the same band. The band have simplified things, the songs are quite structured and melodic. I guess this becomes clear: when Crystal Fighters let their talent become the focal point of the music, rather than trying too hard, the results are impressive. This is a band that is truly finding its way in the overcrowded musical landscape. Catch them showcasing their new songs at the iconic Middletown venue this Saturday. Watch a video of You and I below.